Together we can be whole..
with your body and my soul..
It’s my best time to abort..
My last piece is yours, take it.. 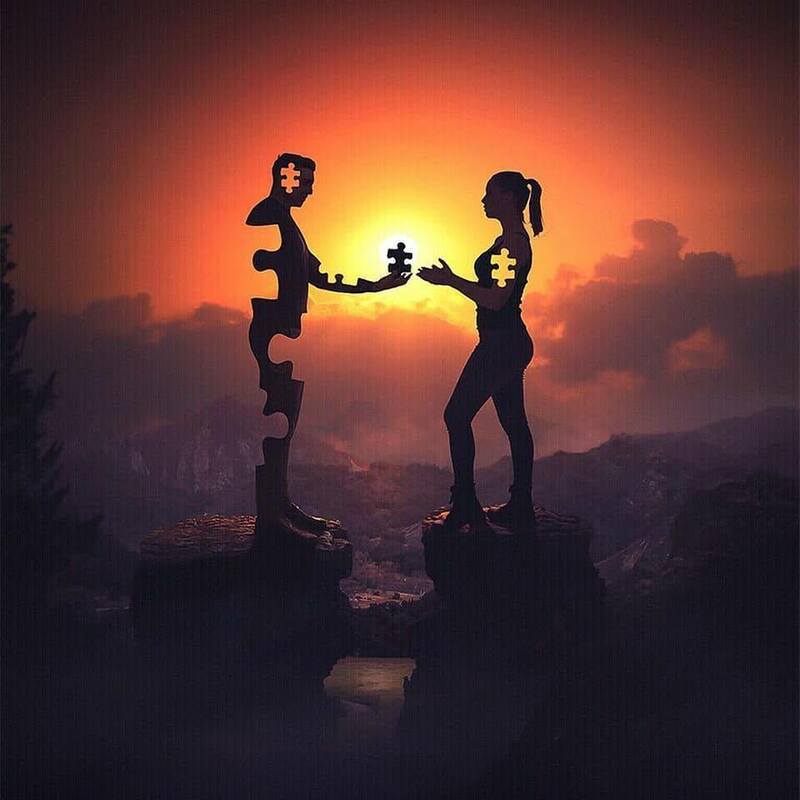 So we together can forge..
Here’s the piece of my love which will complete you. Will you be my mine? All love rises by giving our wholeself to the only one. Dignity of soul rises by helping others to raise. Don’t emptied yourself by giving too much of you to someone. Maybe I am designed to osculate the incompletion for even the saffron sunsets and the azure above our heads are aware my incompletion fills you. I can keep on lost and incomplete, but you never should. I won’t die of parts adequacy, will I? For giving away my crucial parts is no match compared to what you do to me: you make me feel alive over and over.